Trans Kids is a trenchant ethnographic and interview-based study of the first generation of families affirming and facilitating gender nonconformity in children. Whereas previous generations of parents sent such children for psychiatric treatment aimed at a cure, these parents agree to call their children new names, allow them to wear whatever clothing they choose, and approach the state to alter the gender designation on their passports and birth certificates. Sociologist Tey Meadow argues that these parents are negotiating gender in new and significant ways, with everyone and everything, from intimates to institutions. Drawing from sociology, philosophy, psychology and sexuality studies, Meadow depicts the intricate social processes that shape gender acquisition. Where once atypical gender expression was considered a failure of gender, now it is a form of gender. 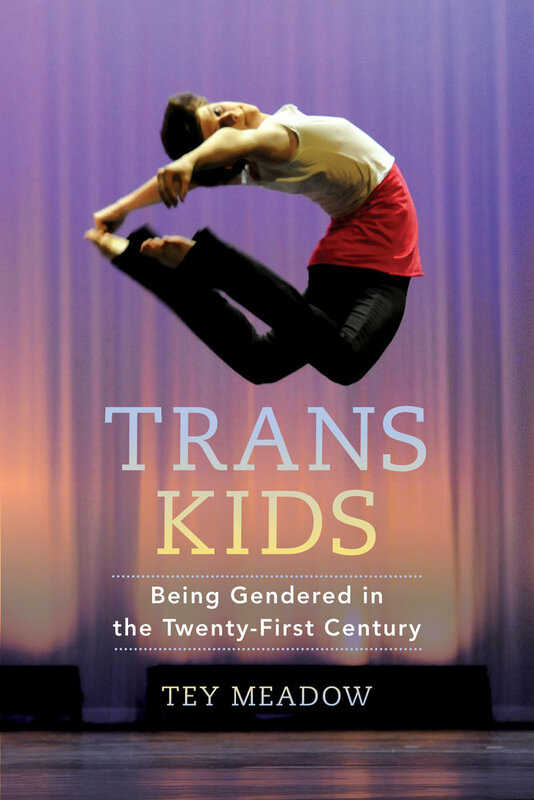 Engaging and rigorously argued, Trans Kids underscores both the centrality of ever more particular configurations of gender in both our physical and psychological life, and the increasing embeddedness of personal identities in social institutions. “Tey Meadow’s powerful account follows the institutional shift from regulatory to facilitative medicine in the treatment of gender variance, and documents the process through which atypical gender has become understood ‘not as a failure of gender but as a form of gender.’ Through moving and acutely attuned interviews, Meadow shows how parents can ‘give gender’ to their trans kids. This is a timely and illuminating book.”—Gayle Salamon, author of Assuming a Body: Transgender and Rhetorics of Materiality .